We also have many other sets of children's books! Tessa Bridal. 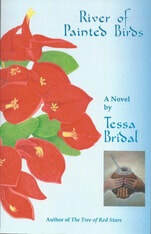 Born in Uruguay, Tessa’s first novel, The Tree of Red Stars, won the Milkweed Prize for fiction. Signed copies of her second novel, River of Painted Birds, are in the bookshop. The story is a rich historical work. David Lanegran. Professor who retired recently from the geography department at Macalester. Dave specializes in urban geography. He is author, with the assistance of Carol Urness, of Minnesota on the Map published by the Minnesota Historical Society. Anne Gillespie Lewis. Once a sports writer for the Star Tribune; Anne has written extensively on the Swedes in Minnesota. 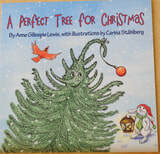 Corner Books has signed copies of her wonderful recent kids’ story The Perfect Tree for Christmas. Rich Osborn. After his retirement from Northwest Airlines, where he was a pilot for 33 years, Rich went to Augsburg College and studied creative writing. 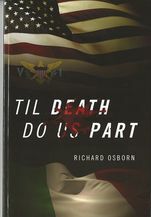 His first mystery novel, Til Death do us Part, was one result. He is finishing his second book now. Vincent Wyckoff. 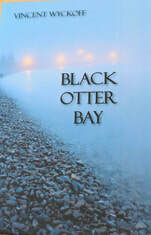 Black Otter Bay. St. Cloud: North Star Press of St. Cloud, Inc., 2016. The setting of this intriguing story is the North Shore. It is told by various characters in it. His first book, Beware of Cat and Other Encounters of a Letter Carrier, was based on his experiences as a mail carrier for over fifteen years in south Minneapolis (also available).